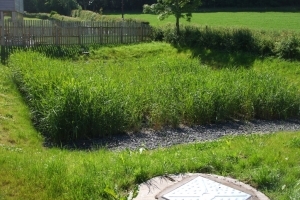 The system is installed either side of a watercourse which divides the site. 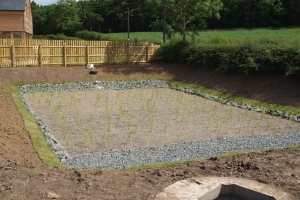 The septic tanks and reedbed (horizontal flow type) provide for passive treatment of the sewage and are all landscaped into the communal amenity areas of the development. 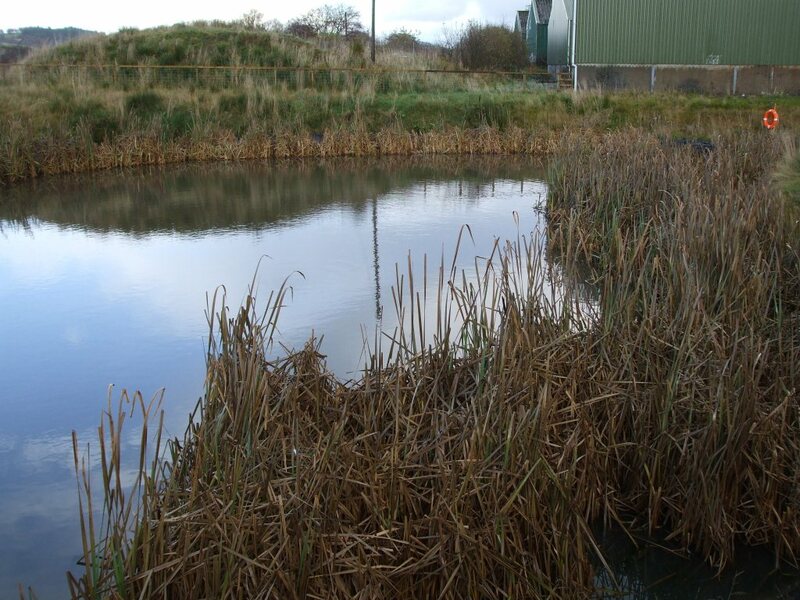 The reedbed also provides habitat for birds, amphibians and insects. 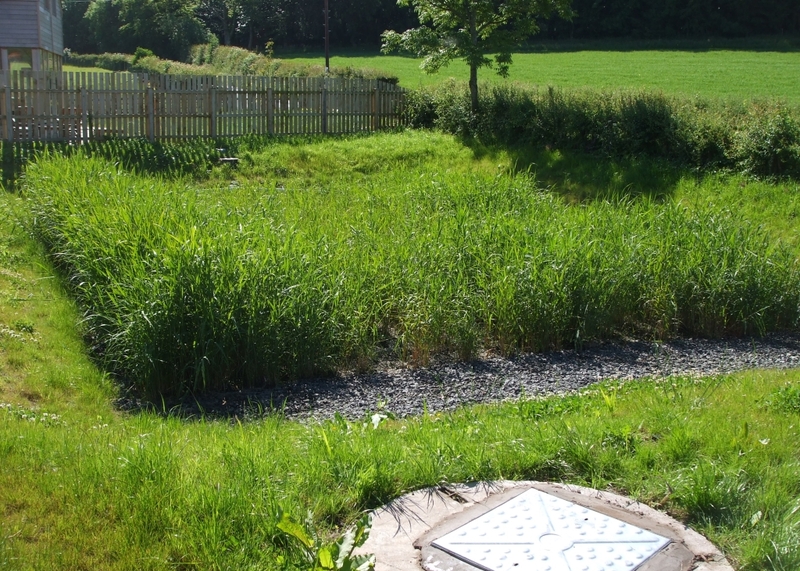 The system is designed to meet good effluent quality standards and safely disperse treated sewage water into the adjacent watercourse. 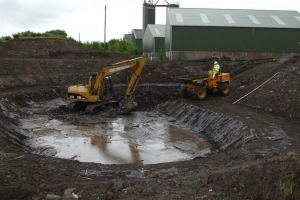 This type of sewage treatment system is suited to sites in remote locations and sites with no electric power, with low porosity soils (clays) and where passive treatment and/or habitat is desired. 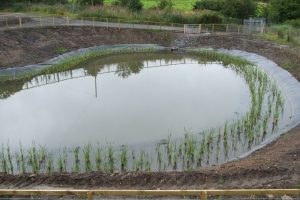 The pond was designed specifically to treat surface water runoff from a large concrete yard. The yard has lots of heavy traffic movements daily and contamination with soil particles is significant. 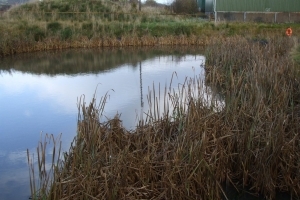 The treatment capacity, safety, biodiversity and amenity value of the pond are all enhanced by a wide margin around the pond which is planted with reeds. 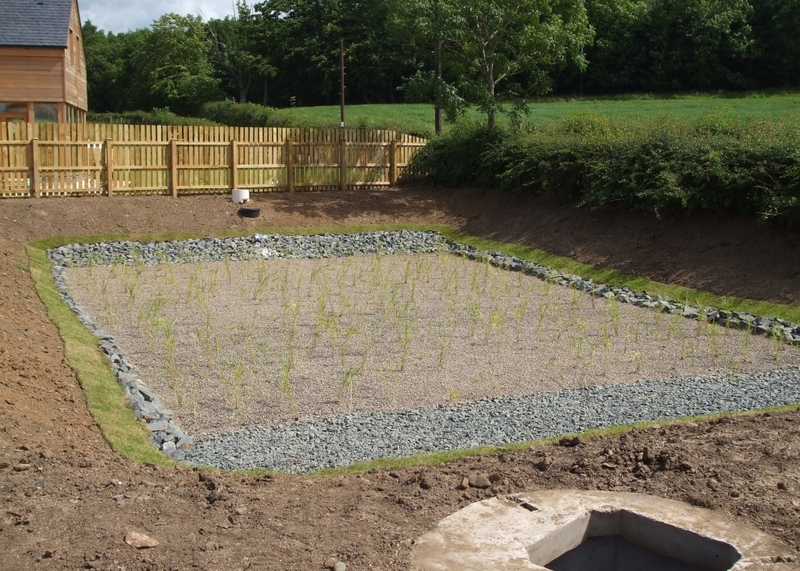 This type of surface water runoff treatment system is suited to sites where the treatment of runoff is required to protect the quality of a nearby watercourse. 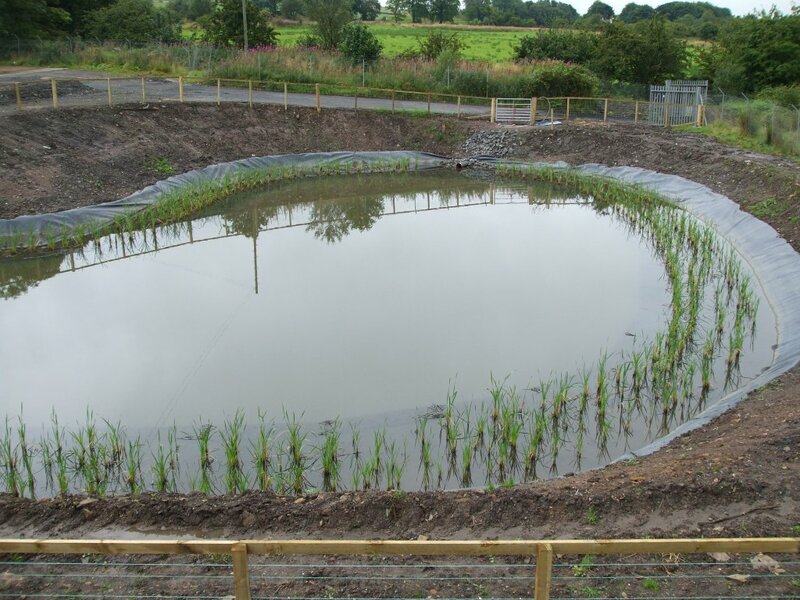 The system provides the added and inherently designed benefits of flood alleviation by attenuating the runoff and habitat creation for wildlife. The system installed was the first of its type in the UK. The ‘ASP’ package sewage plant has an integral submersible pump fitted on the outlet removing the need for a separate pumping chamber. 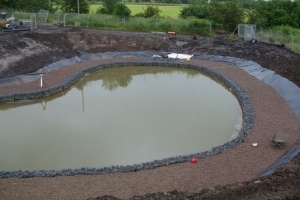 The ‘Ecoflo’ tank acts not just as a tertiary (polishing) treatment tank but also as a mound soakaway. 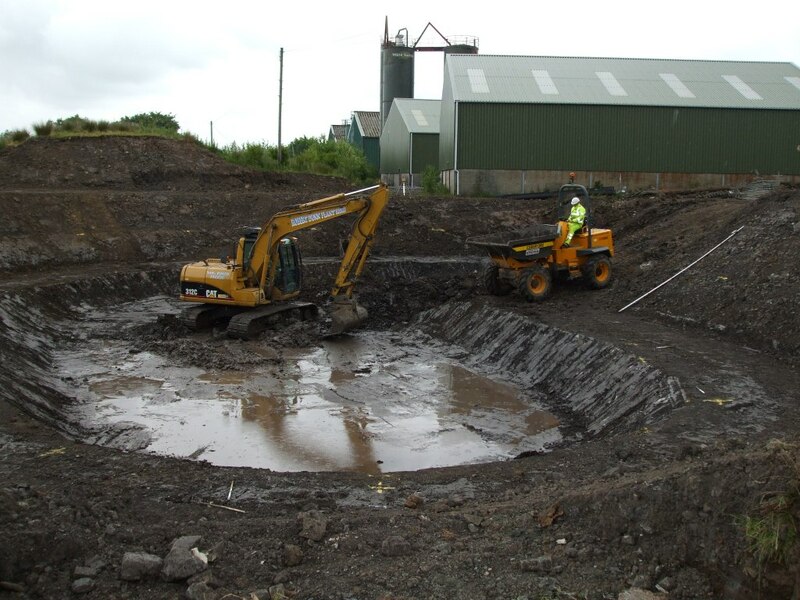 The system is designed to meet very stringent effluent quality standards and safely disperse treated sewage water into the ground. 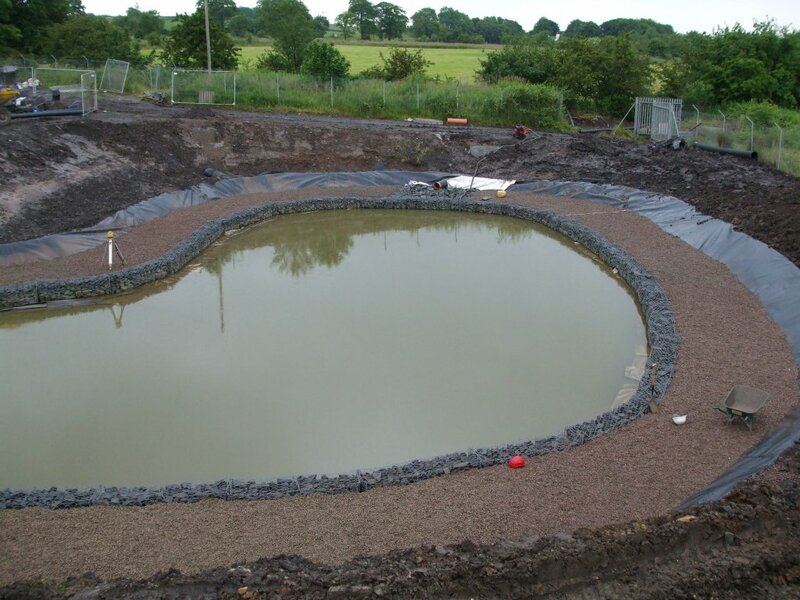 This type of sewage treatment system is suited to sites with low porosity soils (clays), with high water tables, with no watercourse nearby or with limited available land.